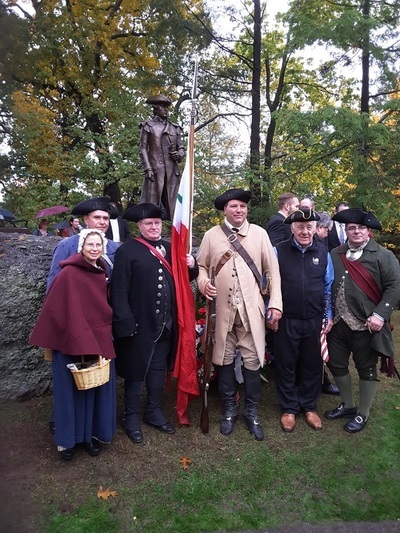 On October 22, 2016, the Sixth District Freemasons(1) of Massachusetts, unveiled a statue of Major General Dr. Joseph Warren, deceased two-hundred and forty-one years ago. The images above are from the actual ceremony. They barely convey the enduring love Freemasons have for Dr. Warren. Freemasonry is the oldest fraternal organization in America, born originally in the 13th Century by stonemasons. 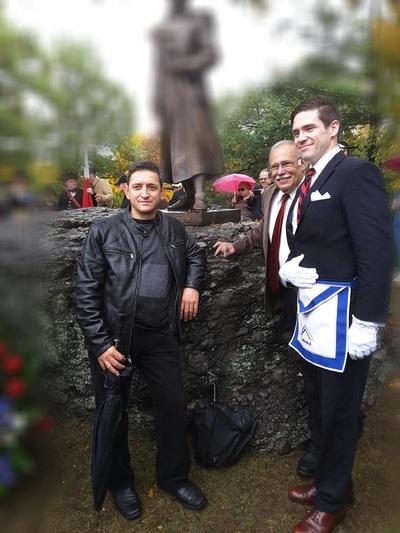 Boston's Freemason lodges reach back to Ireland and Scotland for their authenticity. The Boston lodge was established 1733 in North America. The Boston Freemason's 18th Century membership list included many individuals chiefly responsible for making us a nation; James Otis, Dr. Joseph Warren, Paul Revere, John Hancock, Nathaniel Greene, John Paul Jones, Jeremiah Gridley and William Dawes. We shouldn't leave out George Washington and Ben Franklin. Both had significant roles in other Freemason Lodges and this nation's creation. Footnotes below provide additional information on several individuals mentioned above. 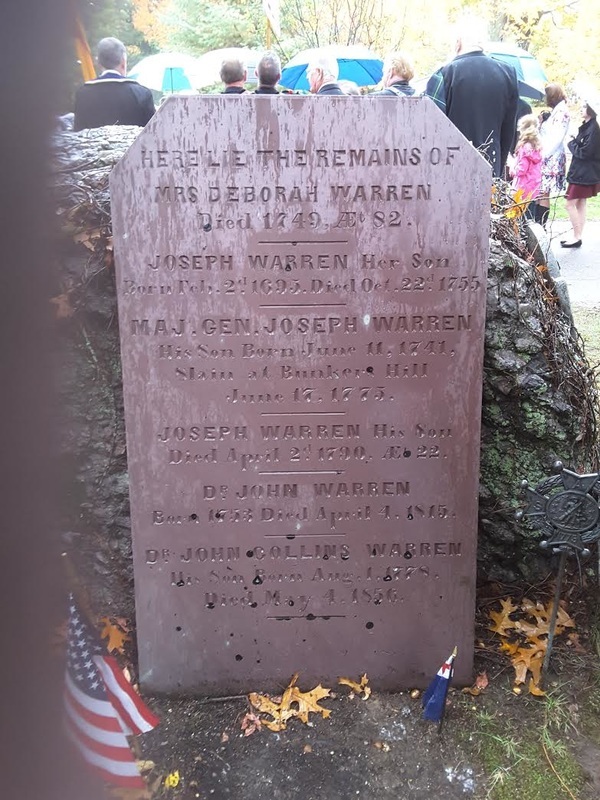 Here is a brief history of Dr. Warren. Born on June 11, 1741 and shot through the head in the last seconds of the Battle of Bunker Hill, June 17 , 1775. His body was further abused making recognition nearly impossible but for his then eloquent clothing, that was almost immediately removed as a souvenir. A graduate of Harvard at the age of 18 and a doctor by 22. Dr. Warren orchestrated the rides of April 18th, 1775, by Paul Revere and William Dawes, that alerted the countryside that the “Regulars are out”. As a Colonial surgeon of Boston, none was more meticulous, clean and handsome or more eloquent in his writings and speeches on independence. 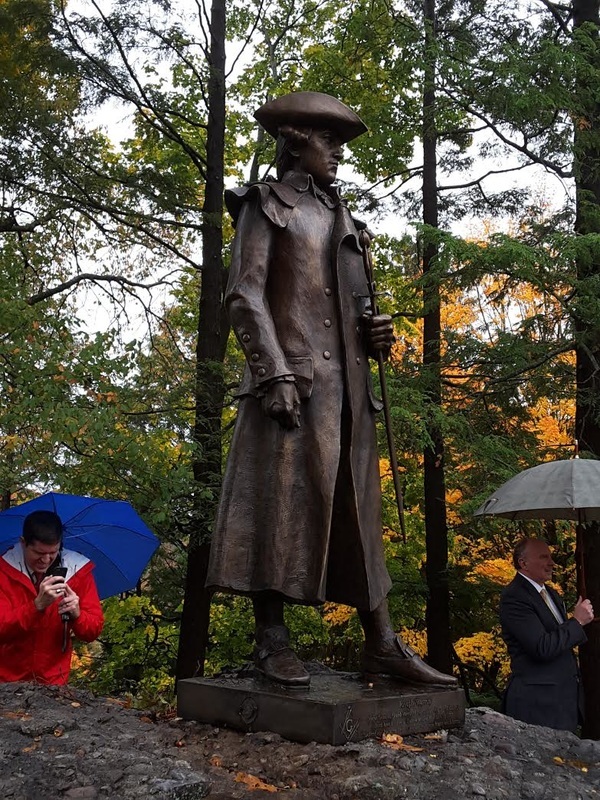 Dr. Warren wrote the first draft of the Suffolk Resolves completed 9/9/1774, calling for resistance to Parliaments "intolerable Acts" a/k/a, "Coercive Acts". Perhaps the clearest signal that Parliamentary rule was done and military confrontation was inevitable. 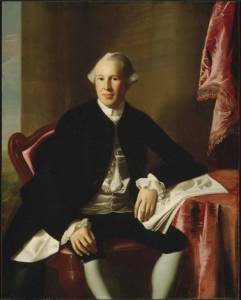 Joseph Warren's portrait of 1765, by John Singleton Copley, is the next to last image above, provided by Boston’s Museum of Fine Arts. Three years before he died at the Battle of Bunker Hill, his wife died leaving him with four children. 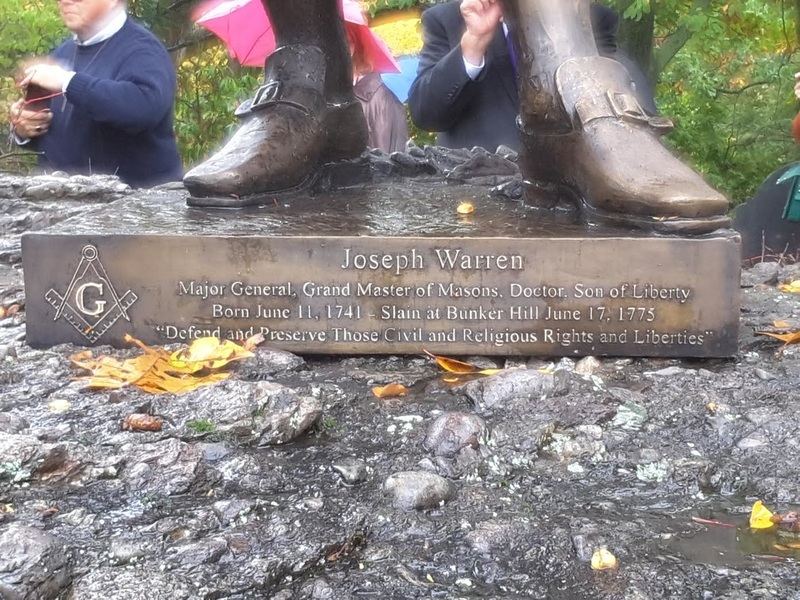 Dr. Warren was a devoted freemason and became the Grand Master of the Grand Lodge of Massachusetts befriending a fellow mason, Paul Revere. Here began an association of spies that also fostered the closest of friendships. He was a most eligible widower, perhaps courting one of Paul Revere’s sisters. Days before the Battle of Bunker Hill Dr. Warren was appointed a Major General in the colonial militia by George Washington. He was one of the few Sons of Liberty to remain in occupied Boston after the Battle of Lexington and Concord of April 19, 1775. His arrest seemed imminent. 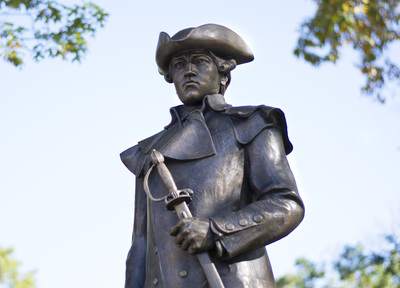 With Boston garrisoned by the British, he was the last to slip out of Boston on June 17, 1775, and nearly last to die on Bunker Hill. He arrived between the second and third frontal assaults by the British. He grabbed musket, powder and shot from a retreating minuteman and fought to his death as a common soldier. His corpse was visited by many British officers and soldiers including Generals William Howe (who was on the field the entire battle) and General John Burgoyne who witnessed the battle from Boston. They all needed to see for themselves that such a vital colonial patriot was lost to the cause. 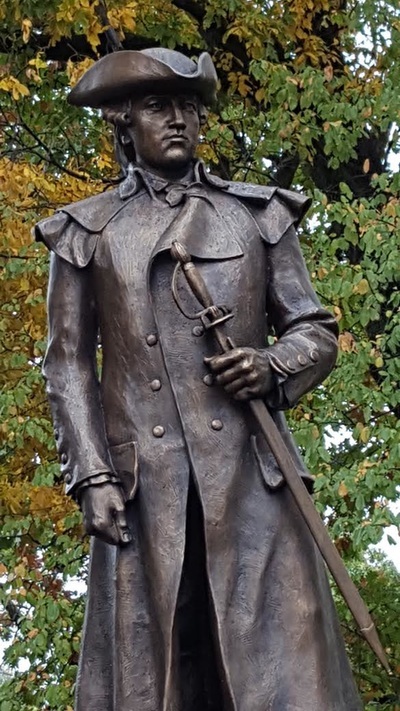 Nine months after his crude burial on Bunker Hill (actually Breed's Hill), the colonial militia regained control of Bunker Hill as the British occupation force sailed out of Boston Harbor. All those buried by the British Army were removed for proper interment. Paul Revere was asked to confirm Dr. Warren’s identity. The corpse was exposed to the elements and abused by the occupying British force. 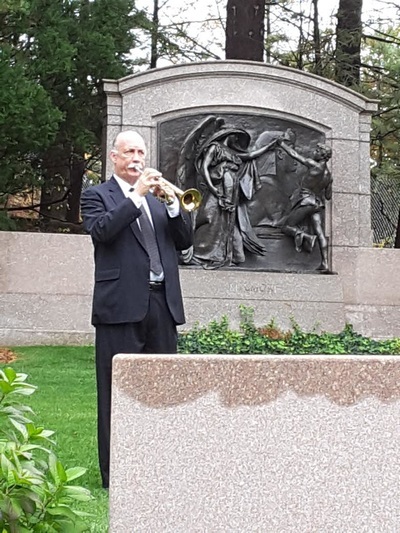 Paul Revere confirmed Dr. Warren’s remains by inspecting the false teeth he made and the unique silver wire adapter; an improvisation Paul specifically did for Dr. Warren. Dr. Warren’s remains, were relocated two more times, finally resting at Forest Hills Cemetery in 1855. The large rock that supports his newly dedicated sculpture is the accumulation of glacial dust many thousands of years in the making called puddingstone and was chosen by the Warren family. 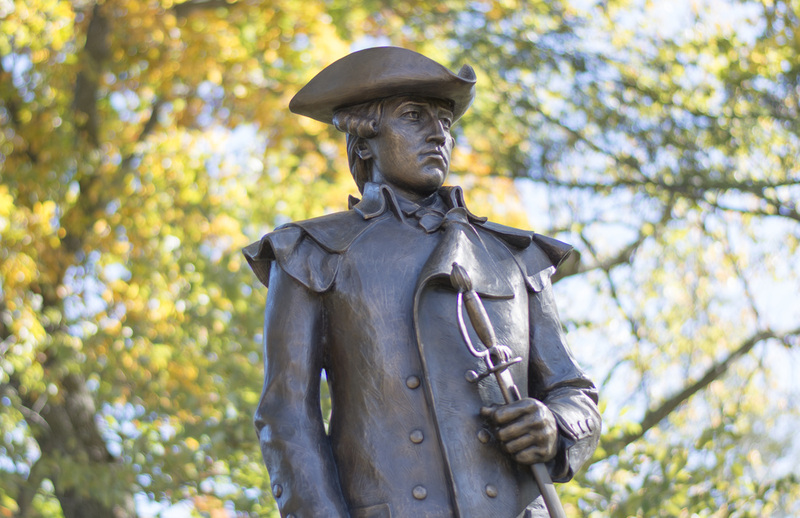 Our tour will expand on the relationship between Paul Revere and Dr. Warren, each a political, military and intelligence bridge to the American Revolution. 1.. The 6th Masonic District is comprised of seven Lodges meeting in Norwood and Westwood. 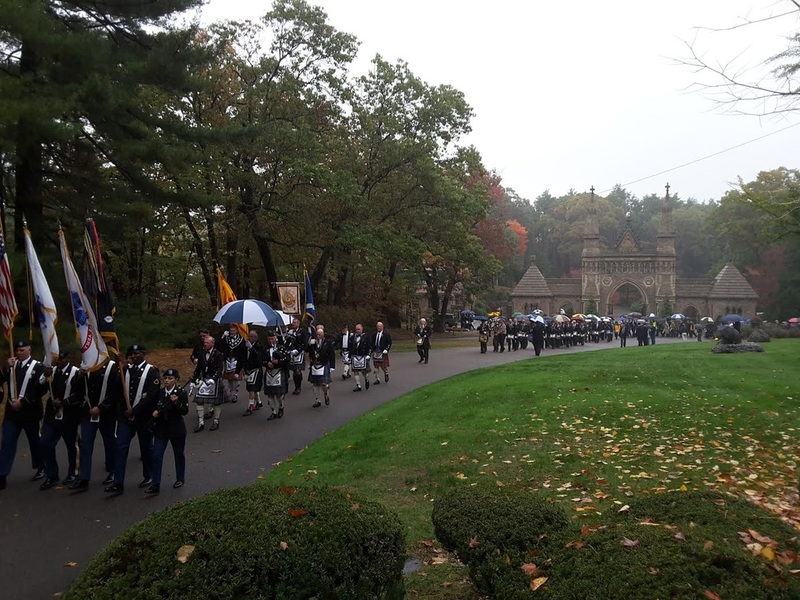 The Lodges meeting in Norwood are: Lafayette Dover, Orient and Union, the Lodges meeting in Westwood are: Celestial, Prospect, Rabboni and West Roxbury / Dorchester. The original communities of these various Lodges included: Dedham, Dorchester, Dover, East Boston, Hyde Park, Jamaica Plain, Norwood, Roslindale, Roxbury and West Roxbury. 3. James Otis, Opposed the Writ of Assistance Act that permitted British Customs officials to inspect any house or business for smuggled goods. He coined the term "taxation without representation is tyranny". 4. Nathaniel Greene, a Rhode Island native that became George Washington's most reliable and longest serving general.